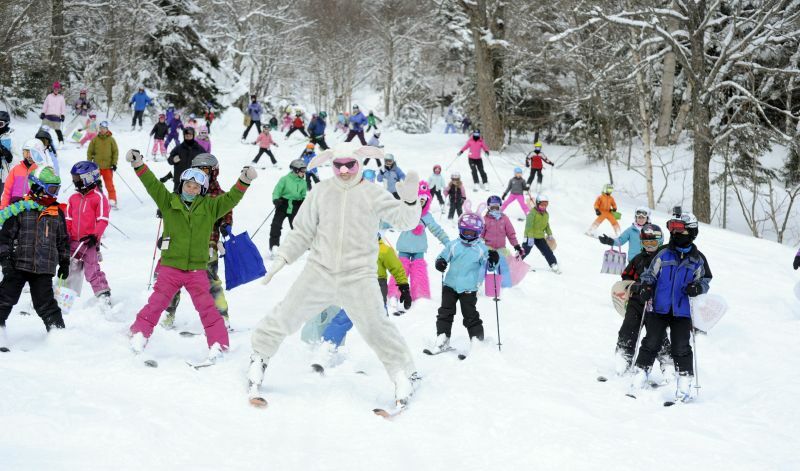 Chasing down the Easter bunny for candy at Mad River Glen! 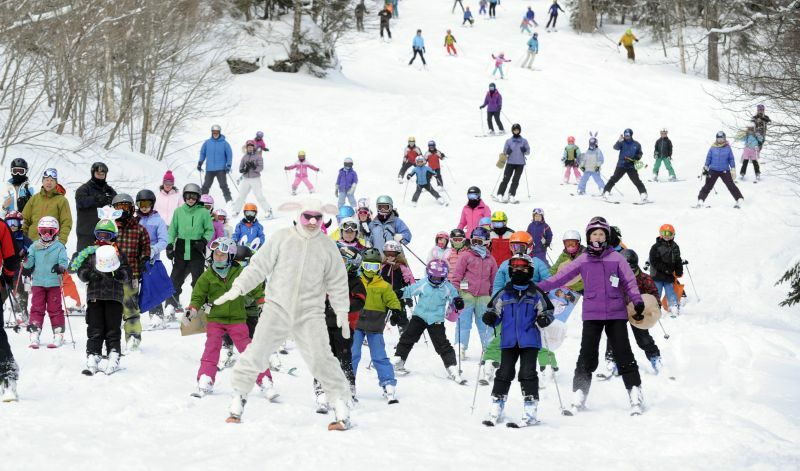 As the 2018-19 ski and ride season nears its end, Vermont ski areas celebrate the coming of Spring with Easter egg hunts, music, and more. Check out these resorts' Easter weekend events. Join fellow early risers atop Mt. Mansfield for a non-denominational Easter Sunrise Service provided by the Stowe Community Church. A complimentary Mountain Gondola ride will operate from 4:30am – 5:30am to transport the public to the service (weather permitting). More information can be found at Stowe.com. Sunrise Service at the Peak Lodge (limited to 275 guests; first-come, first-serve basis). K-1 Express Gondola will load from approximately 5:30-6:15am. East Egg Hunt for all ages at 8:30am in the K-1 Base Lodge. 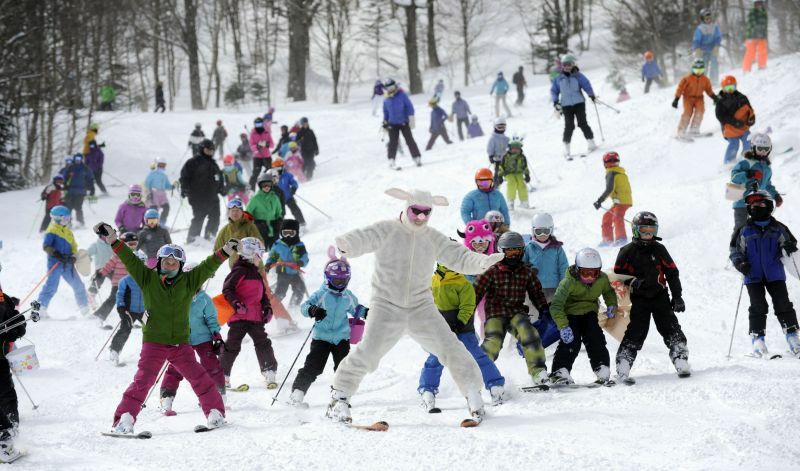 Toddler-friendly Easter Egg Hunt at 9:30am by K-1 Roaring Brook Umbrella Bar (some eggs won’t just have candy; you may find a lift ticket, season pass and more). For more information visit Killington.com. Easter Morning Service - Begin your holiday weekend with a beautiful morning service mid-mountain at Allyn's Lodge. More information visit Sugarbush.com. Easter Egg Hunt: Join us Easter morning at 9:00 am to search and find all the eggs Easter Bunny hid from us. An on-hill egg hunt for ages 7+ begins on Upper Jester and the egg hunt for ages 6 and under is located around The Farmhouse in the base area. All information can be found at Sugarbush.com.